A level of luxury that is uniquely yours.  Palgrave Estates is an exclusive enclave of unmatched luxury homes like no other — anywhere. From the impetus for its creation to the finished homes who bear FLATO® Developments’ signature grandeur and care. Choose from an extensive and unheard-of list of features and finishes that can only be FLATO® Developments. Each one hand-selected to create a home that is both stunningly luxurious and uniquely yours. Features and finishes you won’t find elsewhere. Quality construction & other features. Architecturally controlled clay brick exteriors and stone with quality trim details. As per applicable model and elevation. Masonry details in brick and/or pre-cast per elevation. Maintenance free vinyl casement windows throughout. Achitecturally controlled clay brick exteriors and stone with quality trim details. As per applicable model and elevation. All exterior doors and windows to be fully caulked. Steel, insulated front entrance door with coach lamp, grip set, dead bolt, weather stripping, and inset windows. Self-sealing asphalt roof shingles in blended colours with a 20 year manufacturer’s warranty. Pre-finished maintenance free soffits, fascia, and downspouts. Two exterior hose bibs, one at rear and one in garage. 3 Garage Door Openers, 2 Remotes, and 1 Exterior keypad. Paved driveway (as per purchase and sale agreement). Precast concrete patio slab walkway from driveway to front porch, including precast steps at front or rear where applicable. Lot sodded and graded to the requirements of the municipality. 2″ x 6″ exterior framed wall construction. Tongue & groove sub-flooring throughout, nailed, glued, screwed down, and joints sanded prior to finish flooring installation. Engineered roof truss system and 3/8″ roof sheathing. Poured concrete basement walls with drainage membrane blanket wrap to all interior basement living areas, and weeping tile drain pipe at footings where applicable. Covered front entry porches with railings where required by grade. Poured concrete basement floors and garage floors. All drywall applied with screws, using a minimum number of nails. French Garden Doors at rear and/or leading to porches/patios, as per plan. 8 x 10 Rear Yard Wood Deck. Cold Cellar with solid core door, weather stripping, light and floor drain as per plan. Complimentary Duct Cleaning Prior to Occupancy. 10 FOOT CEILINGS on Main Floor and 9 FOOT CEILINGS on second floor. Imported 12″ x 24″ PORCELAIN MATTE TILES, as per applicable plans, from vendor’s samples. Stylish 3 & 1/4″ wide strip Red Oak Hardwood flooring on main & second floors floor (where applicable except for ceramic tile areas as per plans and brochure). 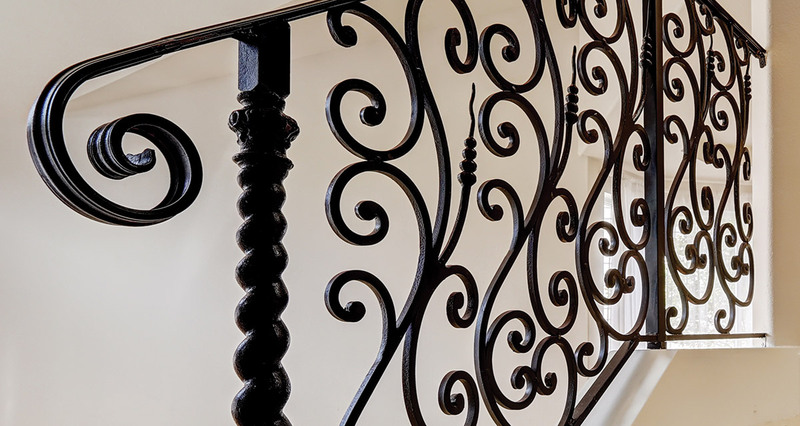 OAK STAIRCASE with your choice of Provincial OAK or METAL PICKETS, 2 3/4″ Oval OAK HANDRAIL & 3 1/4″ Provincial OAK POST w/ Ball Top or 3 1/4″ Corner Flute Oak Post w/ Fancy Cap in Stain to match Hardwood selection, from first floor to second floor stairway where indicated on plans. Choice of Two (2) Panel Roman or Squared COLONIAL STYLE 8 foot INTERIOR DOORS on Main floor and COLONIAL STYLE TRIM throughout finished areas, 7 & 1/4″ MDF colonial base with Arista Casing Finger Joint Pine. SATIN FINISH LEVER interior hardware for all doors. All doors and win dows to be trimmed throughout in finished areas. Interior walls finished in quality LATEX PAINT in all areas. Vaulted, Tray, Waffled & Coffered ceilings as per plan. Smooth Ceilings throughout, excluding basement & unfinished areas. 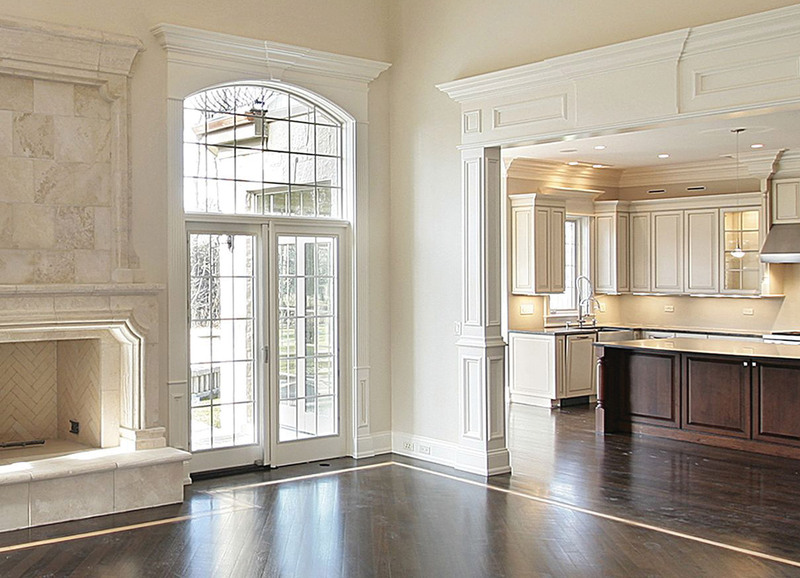 Quality constructed upgraded kitchen cabinetry with crown molding on Upper Cabinets. Full backing, under blocking and quality hardware. Purchaser’s choice of 39″ Tall Furniture Finish Kitchen Cabinets from vendor samples. Pot/Pan Drawers as per plan. UNDER MOUNTED STAINLESS STEEL DOUBLE COMPARTMENT SINK with chrome single hole pull down spray faucet. Upgraded 12″ x 24″ Matte Porcelain QUALITY IMPORTED FLOOR TILES from vendor samples. 36″ Stainless Steel Exhaust hood fan over stove vented to the outside. Stainless Steel Heavy duty electrical receptacle for stove. Choice of Upgraded Level 1 Granite or Quartz Counter Tops from vendor’s samples. Imported 3″ x 6″ Subway Tile Backsplash, from vendor’s standard line. MASTER ENSUITE BATH with Freestanding Tub, sink as per applicable model type. SINGLE LEVER FAUCET WITH TEMPERATURE CONTROL in bathtub and shower. UNDER MOUNT SINKS in all POWDER ROOMS with VANITY CABINETS and Upgraded level 1 Granite/Quartz countertops from vendor samples. (As per plan). SINGLE LEVER FAUCETS to all vanity and pedestal sinks. Upgraded 12″ x 24″ Matte Porcelain Quality Imported FLOOR Tiles from vendor samples. Standard Bathtub enclosure, two rows of tile where ensuite oval tubs with separate shower stall. TILED SHOWERS (where indicated on plans) with MARBLE JAMBS. CERAMIC BATHROOM ACCESSORIES includes towel rack, soap dish, and toilet tissue dispenser. Exhaust fans vented to exterior in all bathrooms. As per model. Recessed shower pot light in all separate shower stalls. Quality constructed bathroom cabinetry with full backing, underblocking and quality hardware. All bathrooms to receive elongated toilets. Frameless Glass Enclosure (with door) in Master Ensuite and upgraded rain shower head. Rough-in three piece plumbing in basement for future bathroom in basement, as per vendor’s standard location. Single laundry tub with hot and cold water faucet, depending on model. Granite/Quartz countertops from vendor standard samples. (As per plan). Heavy duty electrical outlet for dryer and electrical outlet for washer. Dryer vent connection to exterior. 200 AMP SERVICE with Circuit-breaker type panel. LIGHT FIXTURES installed throughout, except living area with switch activated wall outlet, and capped ceiling outlet in dining area. SMOKE & CARBON MONOXIDE DETECTORS on Main Floor, Upper Hall, Basement and all bedrooms. Two electrical outlets in garage (one in wall, one in ceiling). DECORA electrical switches and receptacles. Ground fault interrupter protection on bathrooms. HIGH EFFICIENCY GAS FURNACE & CENTRAL AIR CONDITION UNIT(s) as per plan. ROUGH-IN CENTRAL VAC SYSTEM OUTLETS, one per floor level. Rough in wiring for telephone in the kitchen & master bedroom. Heat Recovery Ventilator installed to improve overall air quality. 36″ Gas Fireplace with MDF Mantle surround from vendors standard line. Stainless Steel Fridge (includes water line), Dishwasher & Dual Fuel Range. 1 & 2 Year warranty protection against defects in workmanship & materials (as defined in the TARION Warranty Plan Act). 7 Year warranty protection against major structural defects (as defined in the TARION Warranty Plan Act). Warranties are limited to the requirements established by the TARION Warranty Plan Act. The purchaser acknowledges that the specifications, landscaping, finishes and furnishings etc. in the model home(s) or sales offices may be for display purposes only and may be of the similar grade or type or not necessarily included in the purchase of the home. The Vendor reserves that right to substitute materials that are of equal or better quality. The purchaser acknowledges that variations in colour and shade uniformity may occur in finished materials, kitchen and vanity cabinets and floor and wall finishes due to normal production processes.